As the line between desktop PCs, notebooks, and tablet continues to blur, the time may be right for Intel’s NUC—and the company decided to get a bit crazy at its Intel Developer Forum just to show off what its tiny PCs can do. Tucked away at a booth at IDF are what Intel calls the Next Generation of Computing, or just mini PCs. For just a couple hundred bucks, you can invest in a bare-bones PC that barely takes up more room than your breakfast bagel, and with some serious horsepower, too. Now, Intel’s next NUCs are taking aim at the 14-nm Broadwell generation. This touch-enabled NUC can be controlled with just a finger swipe. No, not the Core M, the chip that Intel just announced for tablets and some notebooks. Intel designed the Broadwell-U derivative for NUCs, a 15-watt dual-core chip for ultrabooks and NUCs that should arrive with a slower graphics core than Intel’s more mainstream chips. 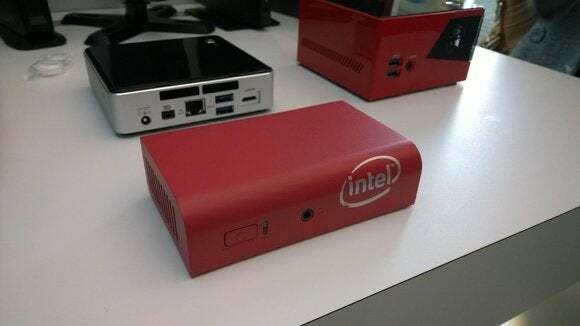 Bhupesh Agrawal, a segment manager for Intel, said that the new Broadwell NUCs should arrive next year. At least for the prototype, Intel has used the same chassis that it used for the earlier D54250WYK, which included the Core i5-4250U “Haswell” processor. 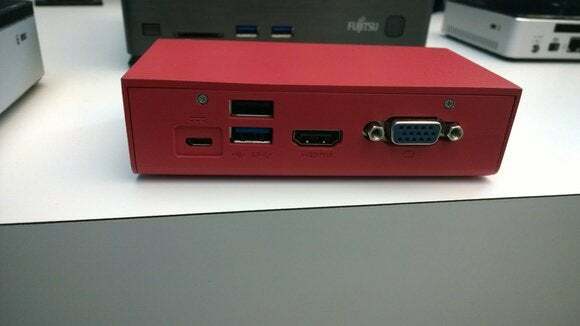 That implies both the old and the new NUC will have two USB 3.0 ports in front, two more in the back, and one each of SATA data and power connectors, plus a Mini HDMI and Mini DisplayPort video output. A speaker covers much of the top of this Intel NUC. The Haswell chip was used in a slightly larger NUC design that Agrawal also had in the booth. 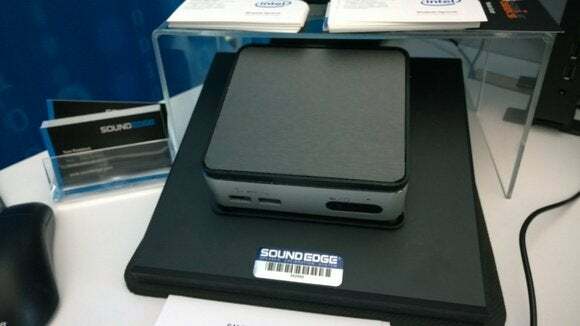 This NUC included integrated speakers with technology from Sound Edge that improves the sound quality of speakers in small, compact environments (like a NUC). It also housed a microphone, which Agrawal used to issue voice commands such as playing a playlist. Intel also added touch controls to a second NUC, so that users could dial up and down the volume just by dragging a finger across the top of the box. “Eventually, we’ll add things like an integrated battery to make the NUC even more portable,” Agrawal added. The smaller half NUC has simpler connections, too. And if the NUC itself has too much horsepower for you, well, check out what Agrawal called the “half-NUC”. At roughly half the size of a NUC, with rounded edges, the half-NUC's chassis will house an Atom chip inside, providing even cheaper, cooler computing at a slight hit to performance. It’s simpler than a NUC, with just a pair of USB ports on the back, plus an HDMI and VGA connection. Intel won’t necessarily make the NUC or half NUCs, but will work with hardware partners to bring them to market, Agrawal said. 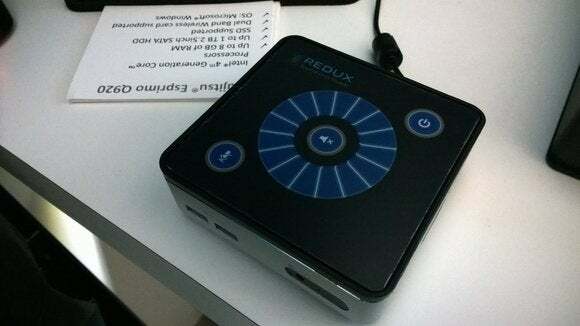 Neither NUCs nor what Google calls Chromeboxes are necessarily poised to replace the desktop. But when you can get all the performance you need inside a tiny, quiet box, you might think twice about the old, tired minitower computer that’s still hanging around.